LOCI, released July 19, 2017. Click above to stream or purchase the album. Untitled improvised composition for solo drum set and interactive electronics. This iteration first premiered February 24, 2016, Leeds, UK. The ElectroAcoustic Sound Lorry, presented at Art in Odd Places "Noise", Orlando, November 2017. The ElectroAcoustic Sound Lorry is a mobile performing arts station constructed to explore the musical possibilities of noise. 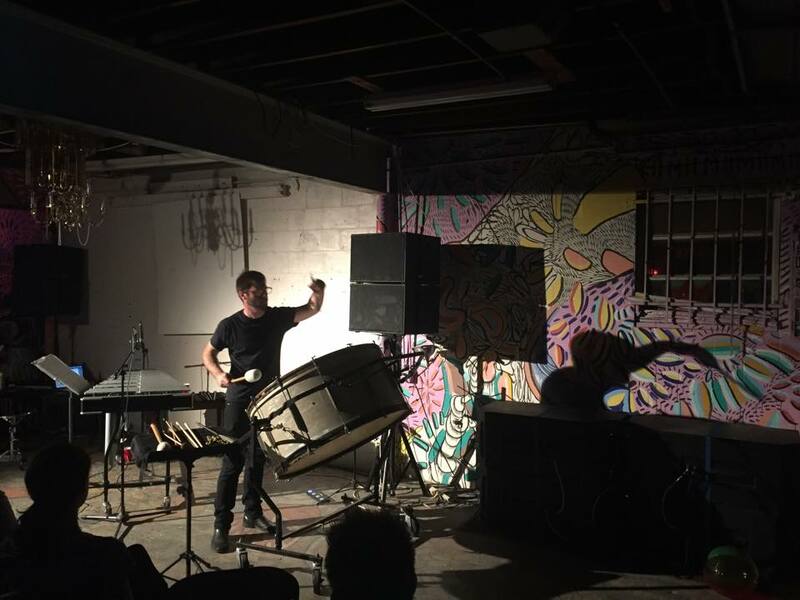 The EASL is primarily constructed from found and salvaged objects, which primarily makes sound through electronically generated signals and feedback and with found percussion objects. Special thanks to Andrew Chadwick for the video. The Finer Things in Life (excerpt, stereo mix): a four-channel generative sound art installation. Mechanical Bull's Tracks and Rodeo Clown available here. SOUP Experimental Interview and Discussion, Tallahassee, FL, January 2017. "Is There a Mistake Around Nowadays That's as Big as the Idea of the Earth Being Flat?" A research project choreographed by Claire Lefèvre with music by Nichola Scrutton. Created at the Phoenix Dance Theatre's Choreographers and Composers Lab, Leeds, UK, July 2015. "LOCI" (excerpt) live at The Fork and Spoon, Panama City, FL, September 2016. 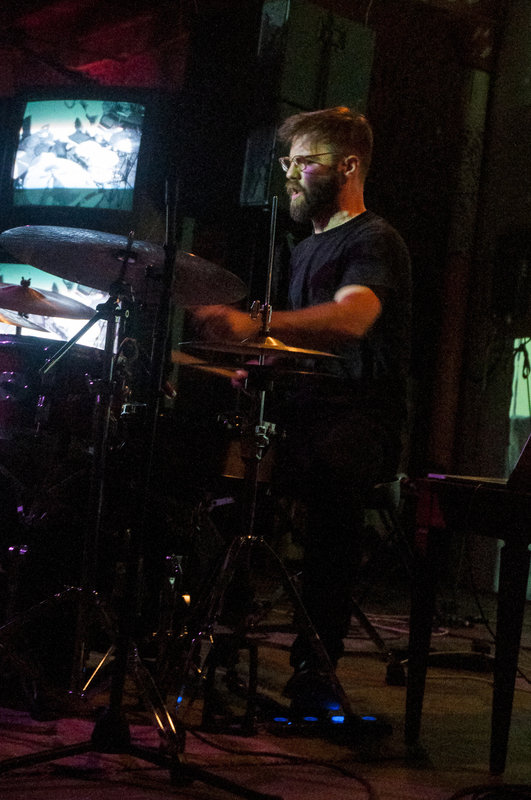 "Turning" for drum set and electronics, composed by Tyler Kline. Filmed/recorded live at The Venture Compound as part of Hyperbolic Chamber Music 4, April 17, 2015. "Postcard" by Sean Hamilton for "prepared" snare drum and electronics. Performance materials available upon request.